We’re finally finished with organising the boat! 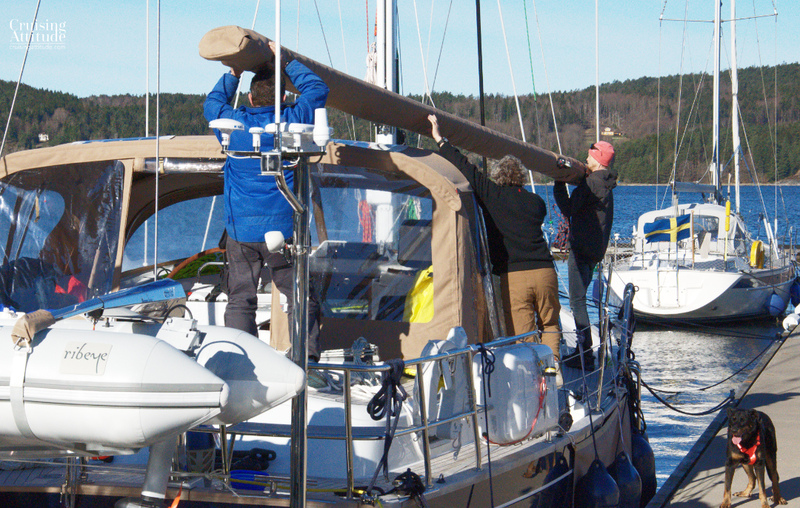 It took about a week more than planned to finally finish the organising and setting up of our boat. 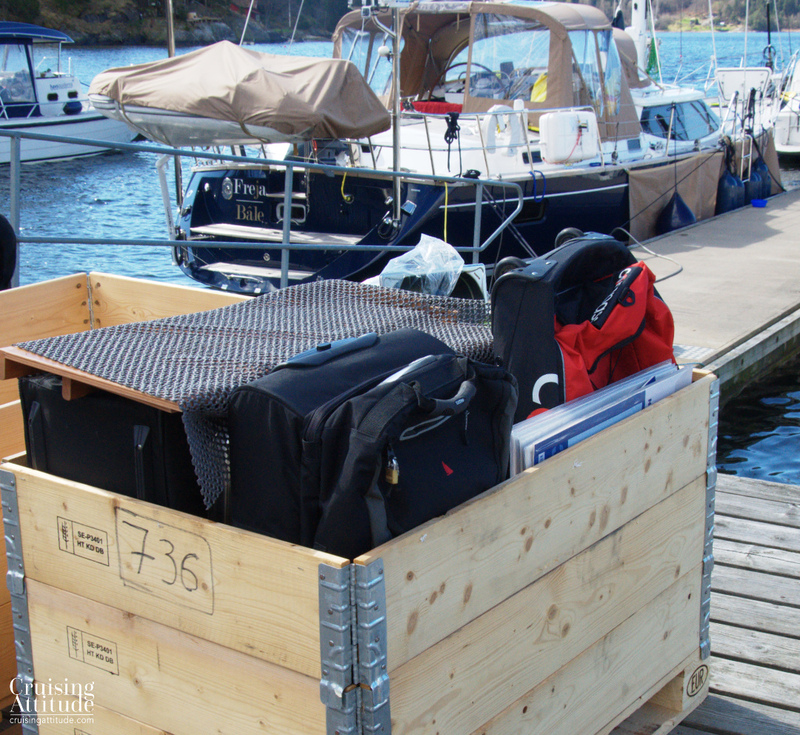 Each item on the boat is now documented with its exact location, quantity, part name and number. The only things we didn’t document were our clothes, personal hygiene and cosmetic items — that would be just a bit over the top. We’ve organised all of our parts, tools, and equipment on a spreadsheet. Food and utility stores are documented since you need to know what to stock back up on — do we need more eggs? Butter? Toilet paper? Dishwashing liquid? Yes, this is a great big PITA — notice the glass of wine next to the Mac? But we will be thankful we did it – sooner than later. 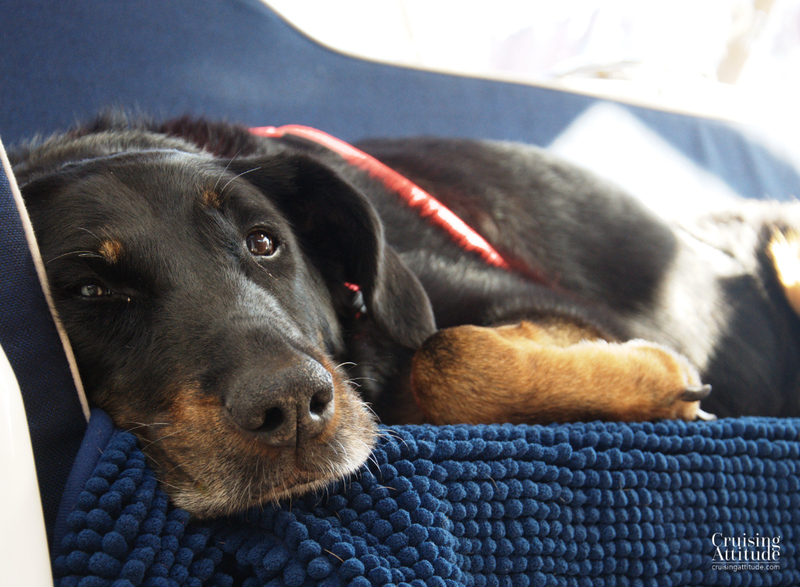 The boat is still not in order, and our dog, Senna is tired of all the boring organising and tidying up. 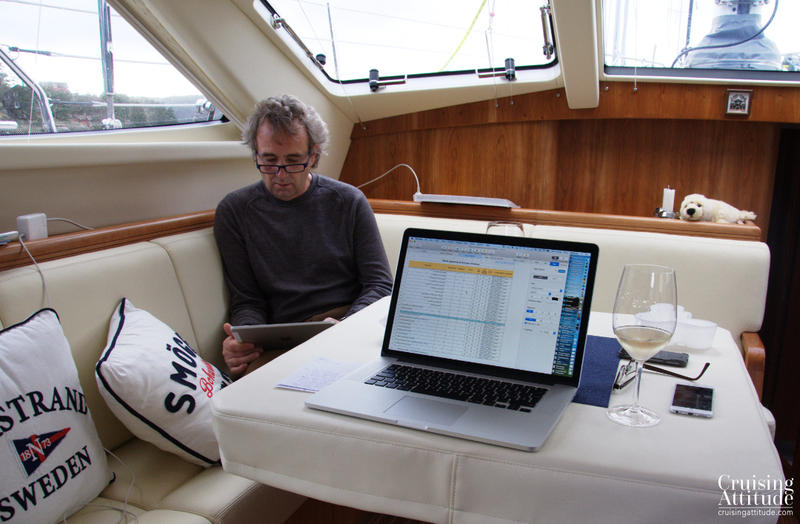 We didn’t just organise the interior of the boat. The entire contents of the various deck lockers (sail locker, port and starboard lazarettes and the side deck locker) needed to be moved to the most logical place. 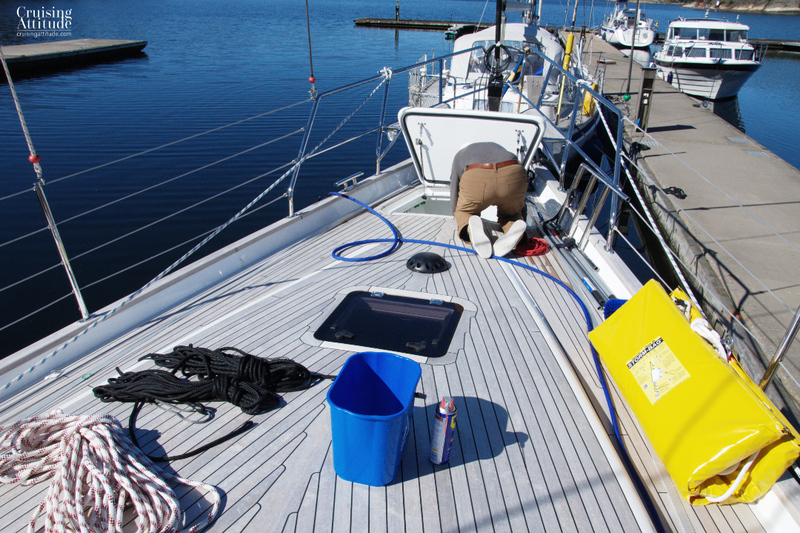 For example, since the heating exhaust passes through the port lazarette, we put only “non-meltable” items there. 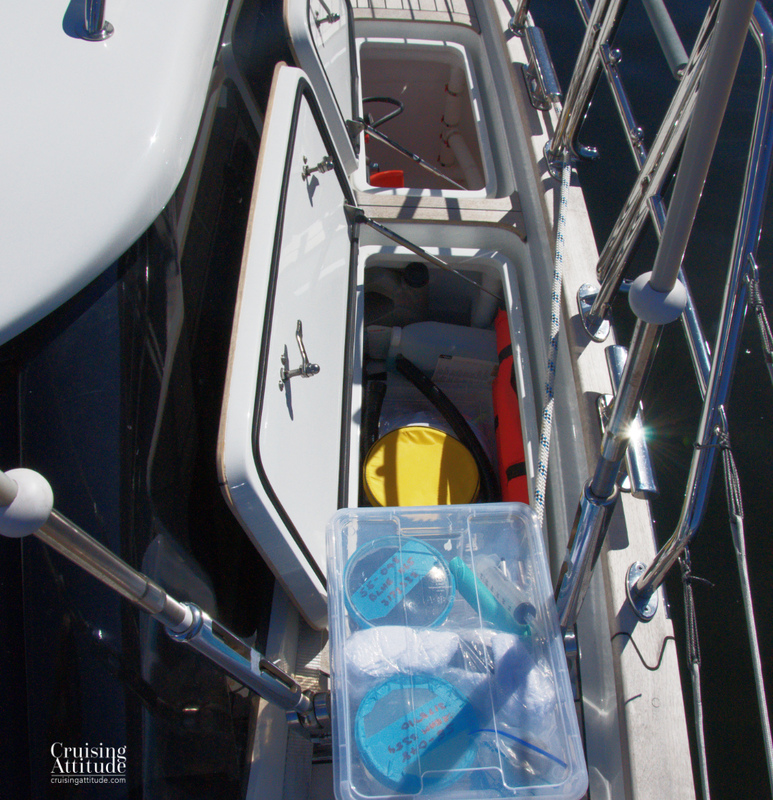 Since the side deck locker is the most shallow, we put smaller items there, such as boat cleaning products, the filters for the water maker and other small parts. The long and thought-provoking (Do we really need this? Can we leave this with Adams Boat Care for now?) process of organising and tidying up resulted in an entire pallet box full of things! I was inspired by the book by Marie Kondo, The Life-Changing Magic of Tidying Up. She says you need to be rigorous with your decision process and always ask “Does this spark joy?” If it doesn’t, it should go. In boating terms, the questions are: “Do we really need this?” and “Do we really have the room for this?” While we do have a few things we don’t really need (candles, a small Alvar Alto bowl that can be used for tea lights or to hold nuts or strawberries), they don’t take up much space. This is what is staying at Adams Boat Care for the summer and then going back home with us in the fall. 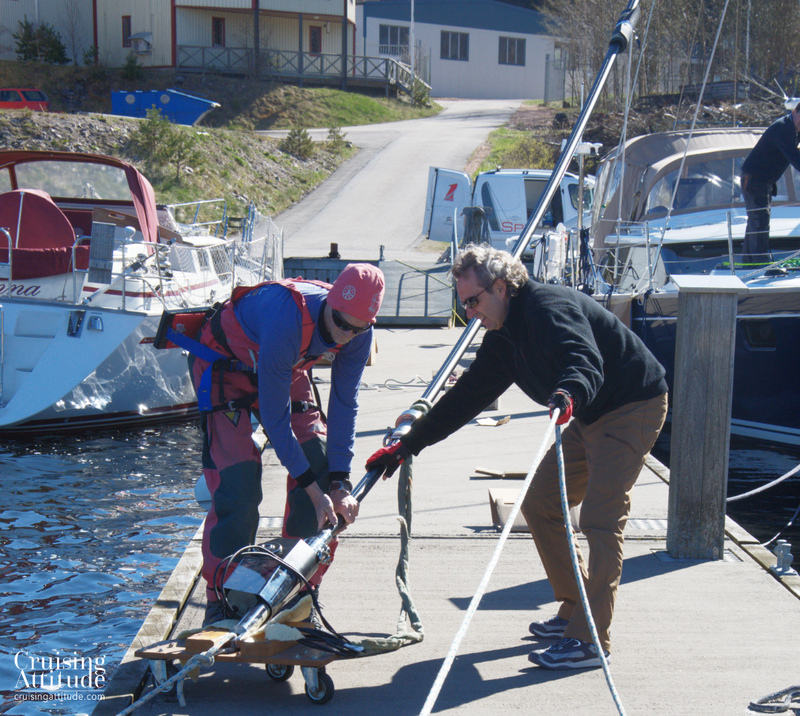 At the same time we were in the process or organise and documenting, Carl Adams was getting the boat in shape to go. 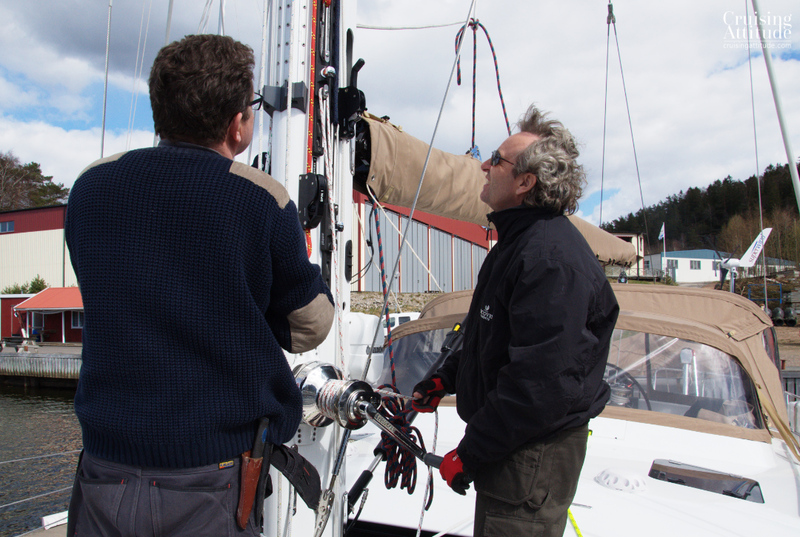 He contracts the rigging work to expert rigger Daniel Engström. 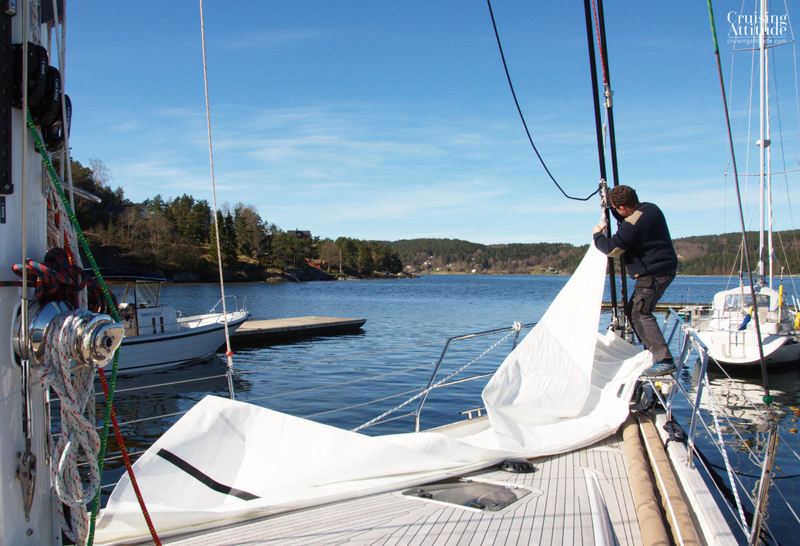 We had to postpone rigging day twice because of high winds, but the day finally arrived — chilly, but calm and sunny. Attaching the boom. 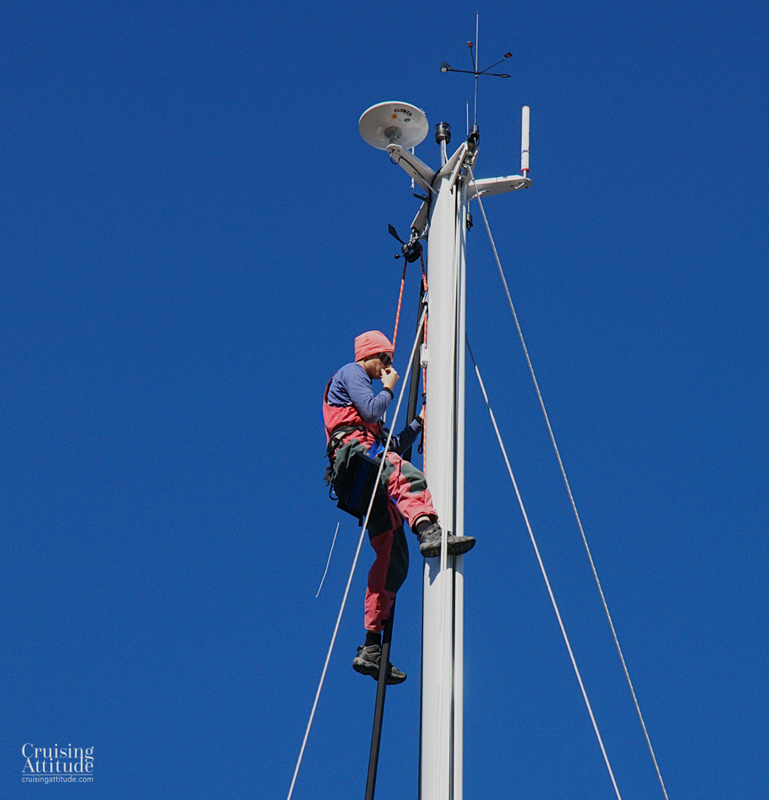 The mast had already been put up before our arrival in Sweden. 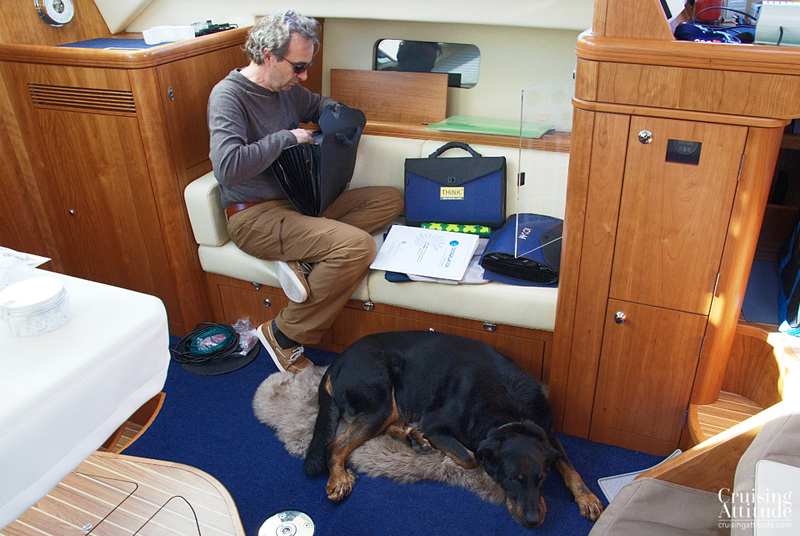 Senna, our dog, found the entire rigging process really fascinating. So much so that she was completely wiped out at the end of the day.